Situated to the north of Phuket along a picturesque stretch of southern Thailand’s Andaman Coast, Khao Lak is a great choice for a beach holiday. With a family-friendly atmosphere, no high-rise buildings and a good selection of hotels, Khao Lak is an excellent alternative to the busier beaches of Phuket and Krabi. When you first start researching where to stay in Khao Lak, the information can be confusing. 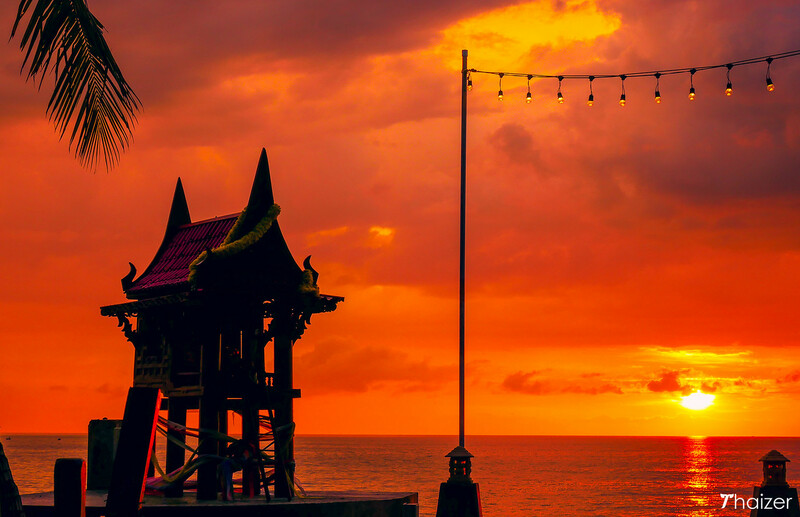 Rather than just one beach, the area that makes up Khao Lak stretches out along the coastline for approximately 30km (20 miles) and includes a number of different beaches and small towns. 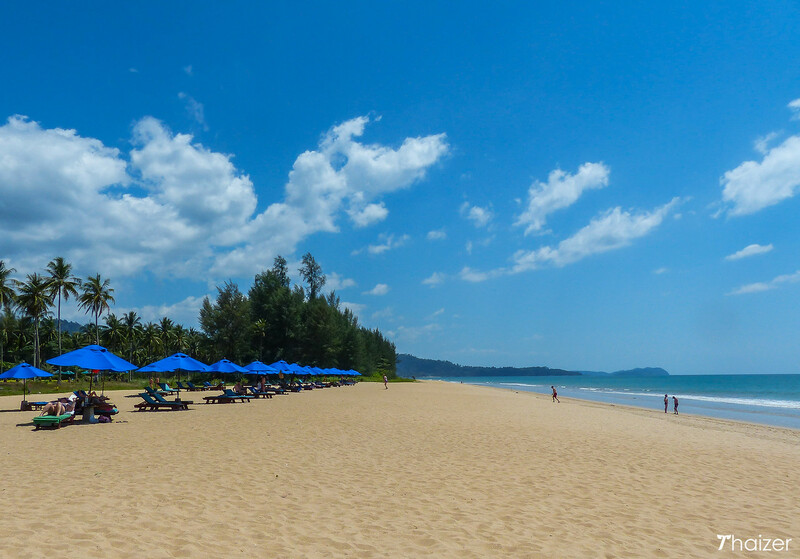 Although there is a beach called Khao Lak, there are plenty of other options with more accommodation choices further north along the Khao Lak coastline. 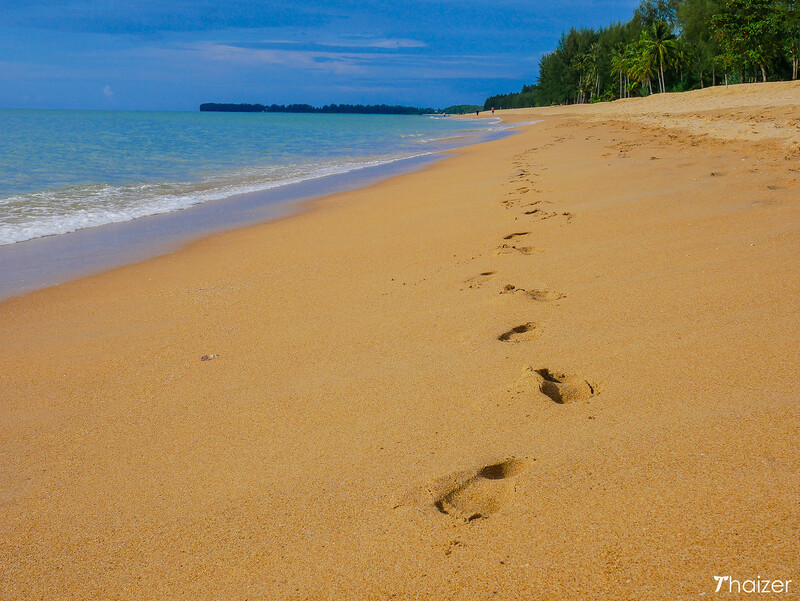 The guide below gives you an idea of what to expect at each of the Khao Lak beaches. For families and solo travellers, Bang Niang Beach and Nang Thong Beach are both solid choices with the small towns there offering up a good choice of restaurants and cafes. If you are in search of more solitude, take a look at accommodation in the Khuk Kaak Beach and Pakweep Beach areas. With a broad selection of hotels, restaurants and shops, Bang Niang Beach is an excellent all-round option. 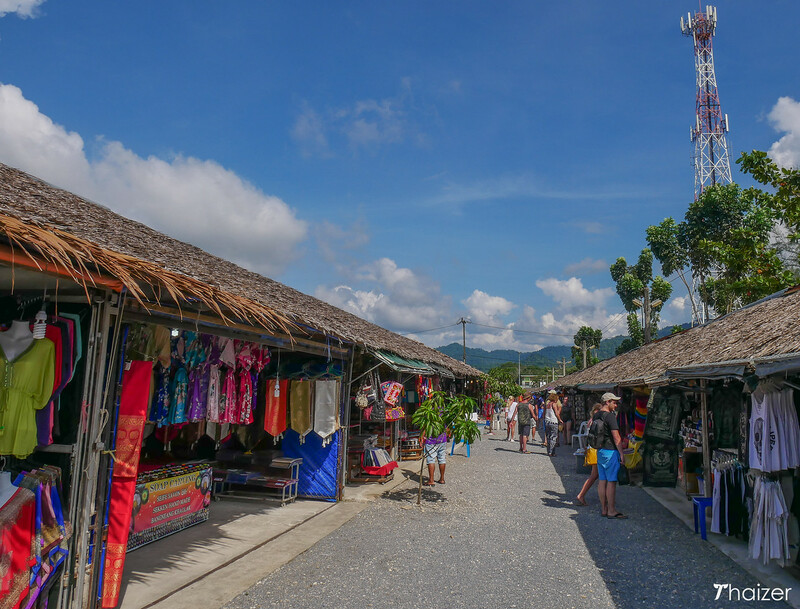 This is also where you will find one of the few local markets in the Khao Lak area with Bang Niang Market (Chong Fah) open for business every Monday, Wednesday and Saturday from 10am-10pm. Thai people come here for the food market, but you will also find stalls selling souvenirs and handicrafts. The further north you walk along Bang Niang Beach, the quieter it becomes while the southern stretch leads to the popular Nang Thong Beach. 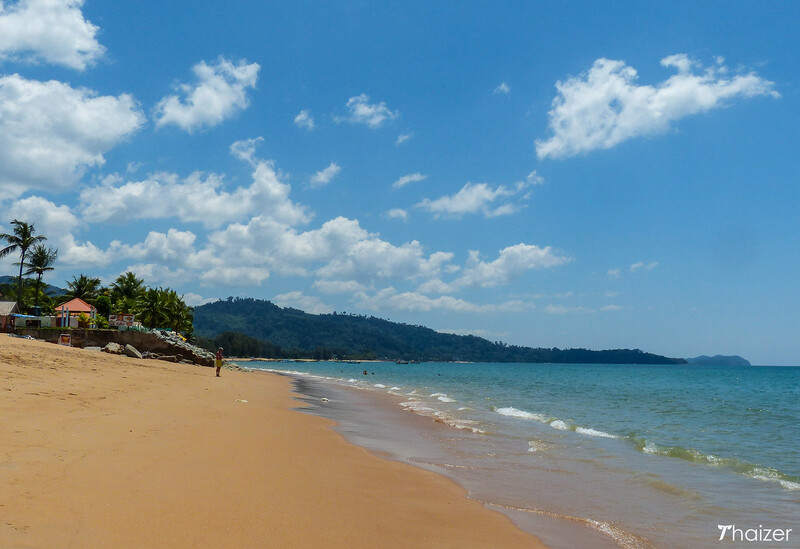 Bangsak Beach is a good choice for couples or anybody looking for a quiet beach escape. 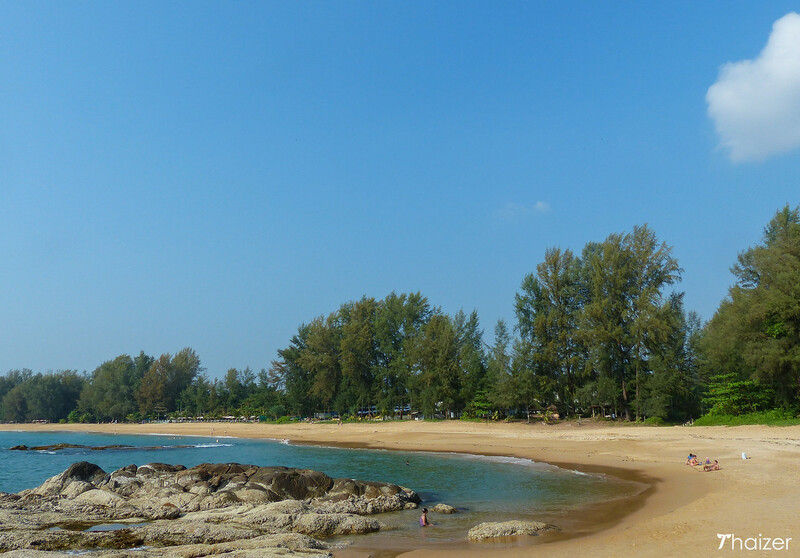 Located at the northern end of the Khao Lak coastline, this is a long and attractive beach with an exclusive feel. Compared to more central areas of Khao Lak, there isn’t as much choice here in terms of restaurants and hotels, but Bangsak Beach is still only around 20 minutes away from the central Khao Lak area. Travelling by road from Phuket, the main Highway 4 (Phetkasem Road) curves towards the coastline offering tantalising glimpses of Khao Lak Beach below. This beach marks the start of the wider Khao Lak area and was also the first of the beaches to develop facilities for overseas tourists. Although the beaches further north along the coastline now attract more tourists, Khao Lak Beach remains an attractive location to stay. Staying here also puts you close to the main Khao Lak village of Bang La On (and Nang Thong Beach) situated just around the headland. Nang Thong Beach is in the heart of the Khao Lak area. The beach itself is pleasant with some rocky outcrops and on the main road, set back from the beach, is the small town of Bang La On. Most of the businesses here are geared towards tourism and it’s a convenient location with a good selection of restaurants and cafes to choose from. A great choice for couples, Pakweep Beach is quieter than most of the other Khao Lak Beaches with some outstanding hotels making the most of the location. For many visitors, a trip to Khao Lak is all about enjoying casual walks along the beach and lazy days by the hotel pool. There are, though, some excellent day trips which can be arranged by your hotel or tour offices in Khao Lak. Take a day trip from Khao Lak to experience the natural beauty of the Similan Islands or travel to the stunning Surin Islands for snorkelling and diving. The amazing seascape of Phang Nag Bay is another popular day trip that is easy to arrange from Khao Lak. For a taste of southern Thai culture, pay a visit to the Old Town area of Takua Pa which hosts an enjoyable Sunday Walking Street Market during the high season months. Or take a boat ride along the ‘Little Amazon’, a community focused tourism project that employs local guides. If you have more time on your hands, consider extending your stay in the region with a trip to the quiet islands of Ko Kho Khao and Ko Phra Thong. Explore the waterfalls and trails at Khao Lak Lamru National Park or venture further inland and experience the outstanding beauty of Khao Sok. A day trip from Khao Lak will give you time to take a boat trip on the amazing Cheow Larn Lake. This is well worth dragging yourself away from the beach, but if you can spare the time consider staying overnight in Khao Sok to soak up the atmosphere here. The tourist industry in Khao Lak has bounced back remarkably well from the Indian Ocean tsunami that struck with such devastating effect on December 26, 2004. It is estimated that at least 4,000 people lost their lives in Khao Lak. In the village of Ban Nam Khem, a wall of remembrance and a large Buddha image facing away from the sea pays tribute to the victims. 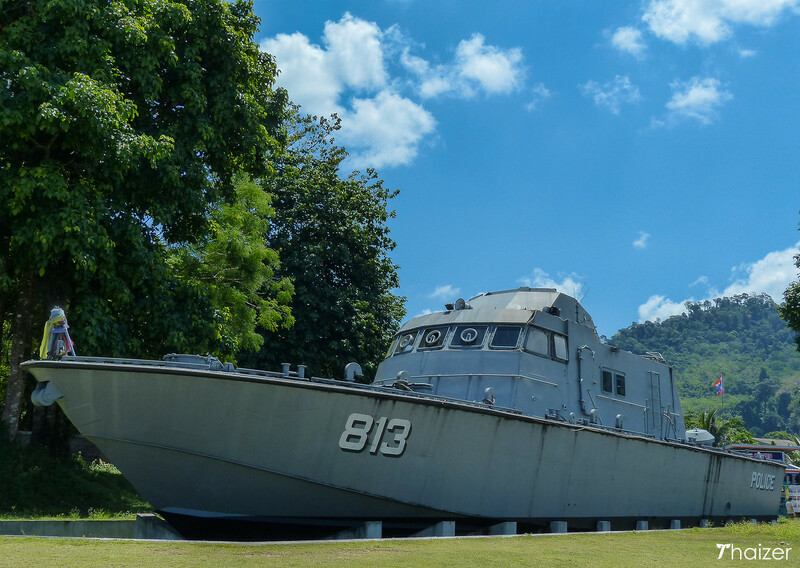 Further south in Bang Niang, Police Boat 813 now forms a permanent reminder of the power of the tsunami. When the tsunami hit, the police boat was anchored offshore. The waves swept the vessel inland and after the waters receded it was decided to serve as a memorial to the tsunami victims. Most of the restaurants and cafes in the Khao Lak are aimed at tourists and prices tend to be high by Thai standards. There are some exceptions, though, including Bang Niang Market. In terms of nightlife, Khao Lak is quiet and that is part of the appeal for the many repeat visitors who prefer to stay here instead of Phuket. There are a smattering of enjoyable low-key bars in Bang Niang and Nang Thong, but if nightlife is high on your list of priorities Khao Lak will be a disappointment. In addition to the festivals that are celebrated nationwide, there are a number of local events held in the Phang Nga and Khao Lak area. when: exact dates vary each year, but usually in mid-October. 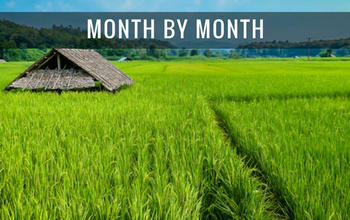 The best weather in Khao Lak is from November-April. This corresponds to to the tourist high season with higher rates for accommodation. During the rainy season months from mid-May to mid-October, some smaller hotels and guest-houses close down. The Similan Islands and Surin Islands are also closed to the public during this period. 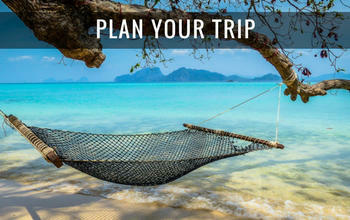 With fewer tourists around and lower prices on rooms, there are advantages to visiting Khao Lak during the low season. You are still likely to experience sunny days during your stay, but when the rain comes it can be torrential with big waves bringing out the red flag no swimming notices on the beaches. Public transport in the Khao Lak area is limited and taxis/songthaews to travel between the beaches can be expensive. 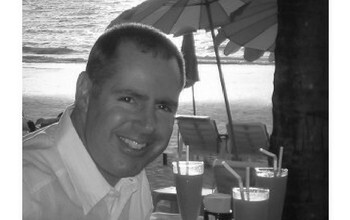 Cars and motorbikes can be rented in Khao Lak, but if you haven’t ridden one before Thailand is not the place to learn. 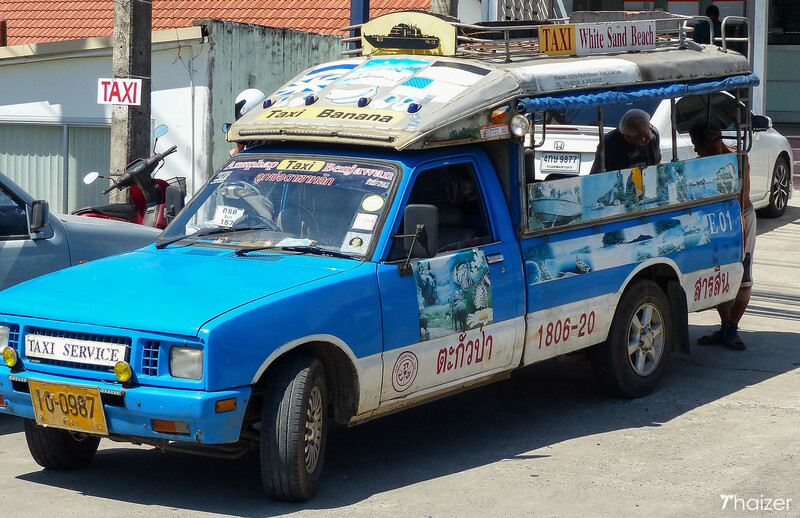 There is a taxi/songthaew service between the beaches with set fares advertised on boards at the various beaches. It can work out expensive if you are by yourself, but if you travel with more people you can split the cost. Prices start from 150 Baht for two passengers. There is no airport at Khao Lak. 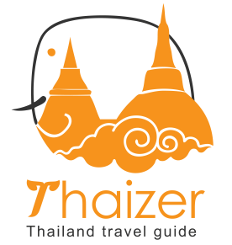 The nearest is located at Phuket (1 to 1.5 hours by taxi) and Krabi (2 to 2.5 hours by taxi). 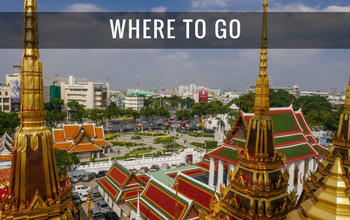 There are frequent services to both airports from Bangkok. Krabi and Phuket are also served by direct flights from Chiang Mai in the north of Thailand and Pattaya U-Tapao airport on the east coast. Bus services connect Khao Lak with Phuket, Phang Nga and Krabi. However, there is no central bus station in Khao Lak with buses stopping at various locations along the main Phetkasem Road. If you don’t specifically tell the driver/conductor where you are going, you will normally be dropped off at the traffic lights near Nang Thong Supermarket in Bang La On. An alternative is to take one of the frequent mini-buses that travel the route. These are more convenient in terms of timing, but the downside is that luggage space is limited and drivers have a tendency to speed. If you are travelling as a couple or with your family it is better to arrange a private transfer/taxi to and from Khao Lak.